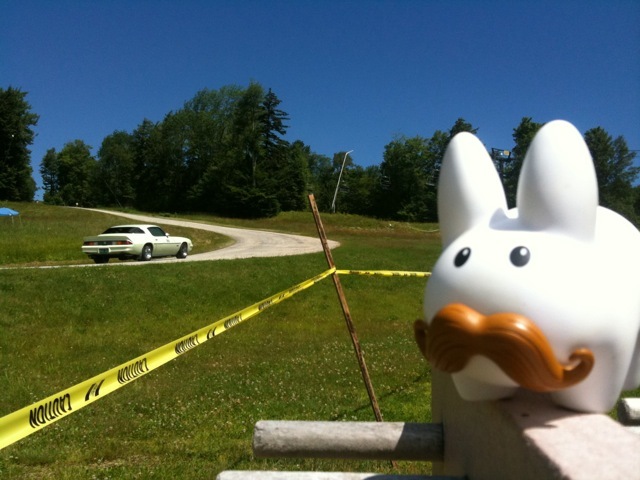 Pipkin, just back from Hunter Mountain, headed to Okemo to watch cars and motorcycles race up Okemo in a hill climb day sponsored by the New England Hillclimb Association, a sports car organization that holds automotive races on twisty roads in New England. They like Okemo because the road is "smooth, very fast (especially the long straight), with some sweeping turns at the bottom and fast tight turns at the top." 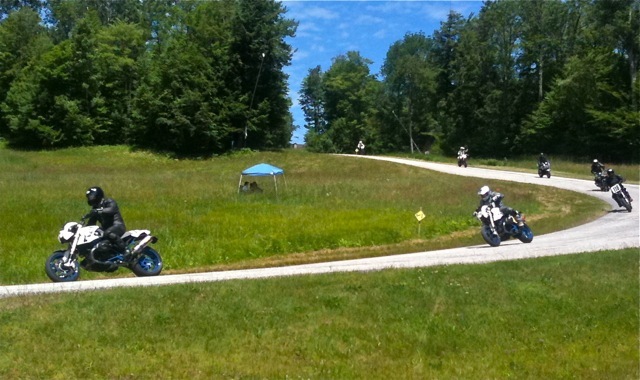 The route is 2.7 miles long and the average racer completed it in 2:42.96 with an average speed of 60 mph. It's not formula 1, but these racing enthusiasts are out to have a good time in their own race cars and bikes. 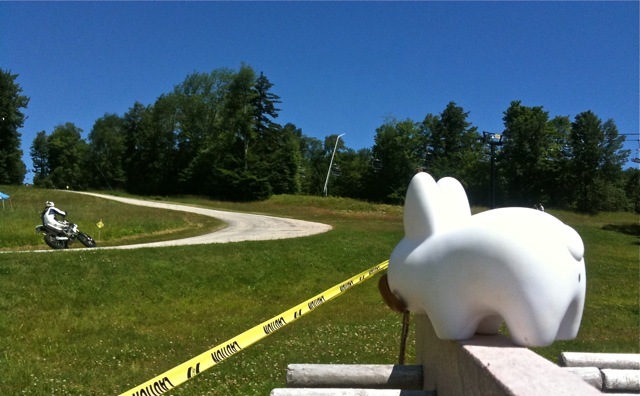 Pipkin hopped up to the sugar house to watch people race by. There were all sorts of home-made racers: lots of Subarus, a Porsche, a Trans Am, cars that looked like dune buggies, a pick up truck, a team of BMW motorcycles from Max BMW, and everything from Dodge Neons to Saabs to 4 door Beemers. The cars are all outfitted with the proper roll cages and window netting, and the drivers all wear helmets. 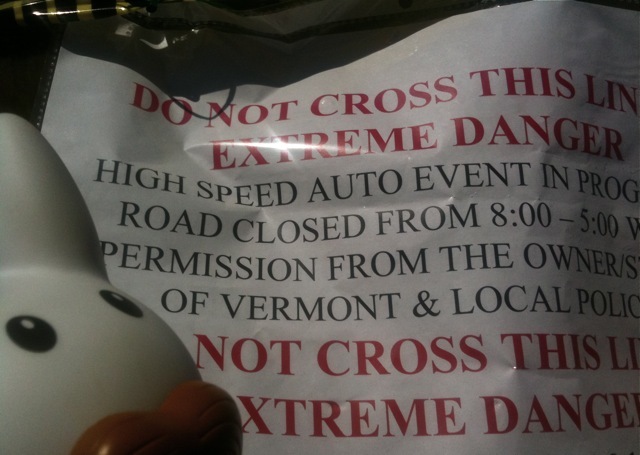 Cars and bikes have to pass technical regulations before they can race, so this isn't an event open to just any vehicle! It's a lot of fun to just hop around the pit area and take a look at how people have modified their cars to race. Pipkin even had a video of one of the cars going by. You'll see him shake with excitement as they pass by.